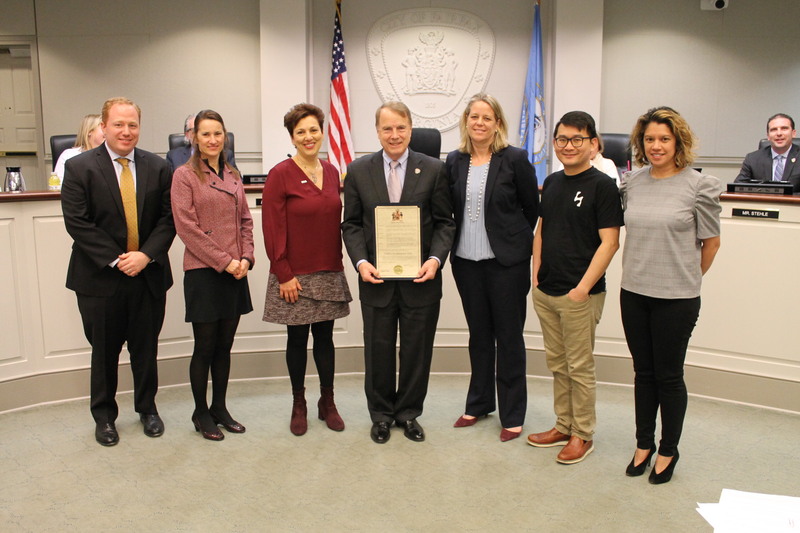 To celebrate the City’s diverse and innovative culinary scene, Mayor David Meyer and City Councilmembers presented a proclamation on Tuesday, February 26 to Fairfax City’s Restaurant Week Committee. The proclamation declared March 3 – 9, 2019 as Fairfax City Restaurant Week and encourages residents and visitors to participate by dining at one of the 23 participating restaurants. Fairfax City Restaurant Week includes a number of independent restaurants that are not only part of the culture but have helped solidify Fairfax City as a regional dining destination. During the week of March 3rd through the 9th, participating restaurants will offer three course lunch and dinners for a set price along with events, programming, and charitable promotions. To learn more about the program visit fairfaxcityrestaurantweek.com. Error: Error validating access token: Session has expired on Tuesday, 21-Aug-18 08:56:08 PDT. The current time is Sunday, 21-Apr-19 21:31:10 PDT.